Divorce and the special one in your life continues to take up appeal court time in the form of husbands arguing they are special to the point of genius so should not share the family resources equally with their spouse according to Cheshire divorce solicitors Stonehewer Moss. Work v Gray 2017 is the latest appeal decision, this time being the wife appealing a husbands successful argument that he was a genius related to a investment business; the court found that there was no special contribution. It is important to realise a couple of things about these cases; first, that they are a non statutory language gloss by very well off people that it is not simply a contribution, it is special and as such what was created during the marriage should not be shared equally; secondly, that their failure in many cases does not mean the court overlooks contribution, it is the circumstances of the first point that are key, and under the statute that applies argument on contribution can be part of the circumstances of the case taken into account. The reason people like Ryan Giggs and Mr Work are advised to pursue special contribution is that the case law on finances in divorce that is followed by judges dealing with contested cases has developed a distinction between needs cases and the rest. Most cases are needs cases, though the court will not apply the same needs to all of us and lifestyle in the marriage, for example, or health might create a higher level of need than other cases. Beware the stingy spouse! In needs cases the assets are not enough to provide for needs by equal division of assets and the order made will distribute the assets as the court thinks fair according to the assessed needs. For those with wealth beyond needs there are disputes about issues such as whether an asset is matrimonial, because in such cases the sharing principle applies and often equality of division will be the outcome. Sometimes the length of the marriage will tell against this. The as yet unstated truth underneath all of the foregoing content of this blog is that judges make such decisions only if you have spent a lot and failed to settle your case. If you set out to have a fight and choose a lawyer that promises to deliver a fight or will not let you see the whites of the eyes of the lawyer for your husband or wife around table away from the scrutiny of the judge, you may be doing you and your family a huge and costly disservice. The point is the court is assessing needs and distributing according to fairness in the eye of the judge precisely because you do not have enough. Common sense suggests that lawyers are best used to negotiate a settlement and if the two of you cannot make an adult decision between you, perhaps you should at least agree that asking a judge to decide for you should be cost limited; set yourselves an agreed budget and find solicitors willing to resolve the case within that budget at court if you both feel you need representation. 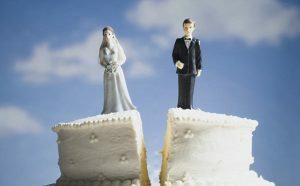 Options like collaborative law, round table meetings and mediation should be seriously explored if you are not in the market for playing games with excess cash.Divorce and the special one in your life should be about the priorities in life, paying the bills and looking after yourself and your children; not dramatizing your hurt through the court. This article was added on Thursday, April 13th, 2017 at 10:07 am and is categorised under Cheshire divorce solicitor, Cheshire News, Chester News, collaborative law, Divorce, divorce finances, Family finances, Hartford divorce, Macclesfield News, northwich solicitors, Runcorn News, St Helens news, Warrington News, Widnes News, Winsford News. Both comments and pings are currently closed. Error: Error validating access token: Session has expired on Saturday, 09-Mar-19 13:12:58 PST. The current time is Wednesday, 24-Apr-19 19:58:15 PDT.